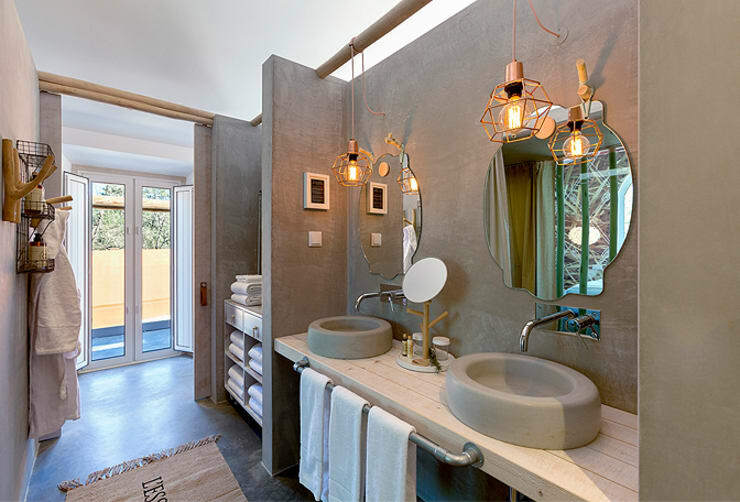 Like every room in the home, design and decoration of a particular space is subject to changing trends, and not surprisingly one's bathroom is no exception. We see trends come and go, but bathroom design is particularly fascinating as it is an area of the home that is not regularly updated or refurbished. As bathroom renovations can be an expensive undertaking, we see individuals opting for a traditional design or aesthetic to preserve its timelessness. By styling a wet room in an age-defiant theme or genre, it is far easier to resist the need to update the room in the future. Curiously however, this hasn't halted the flow of different trends or styles emerging. Quite the opposite in fact; bathroom design remains one of the most talked about interior spaces, with changing aesthetics, tastes, and trends the norm rather than the exception. 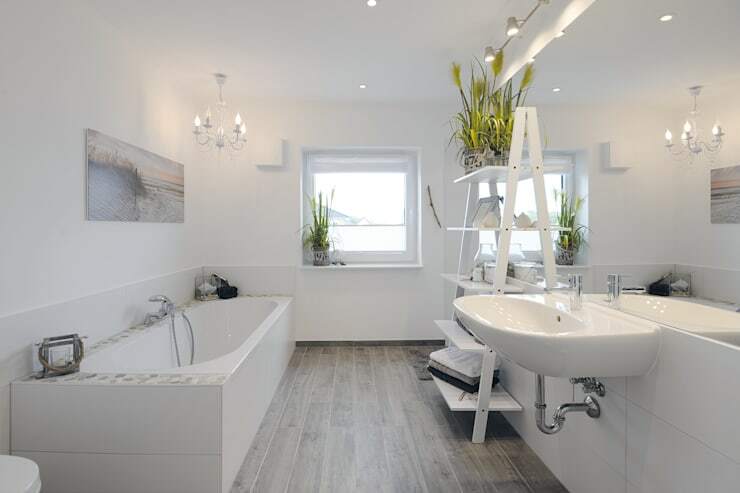 If you have been pondering a change to your home's bathroom, then you have come to the right place. Today on homify we are going to take a look at six gorgeous interior trends that will transform your bathroom from bland to brilliant! Read on to be inspired by some fabulous washrooms, and ensure your new space is truly indulgent, and up-to-date with the latest in stylish additions and adornments. Taps and fittings are almost always the one thing we see change within a bathroom. Easy to alter and install new varieties, fittings and bathroom hardware is a wonderful way to update your space with minimal effort that achieves a big result. In this image we see a gorgeously open and light bathroom that maximises its charm using a combination of different fittings and accessories. The chic taps are one of the first things that grab our attention, and these work effortlessly against the naturally formed basins, industrial style lighting, and neutral colour scheme. Just contemporary enough to add a sense of class and sophistication, chic tapware and fittings are definitely number 1 on our must-have bathroom list! For many years there was only one type of bathroom sink that you could purchase for your home. The typical oval basin was a time-honoured choice for every homeowner, knowingly installed in the home the fixture would outlast its occupants. These days almost every type of sink imaginable is available, and today we are looking at naturally formed pieces. Organic in their approach to design and style, natural, or soft shape sinks are a go-to for a sense of comfort and serenity. Whether you have a contemporary bathroom, or a traditional one, a soft shaped sink can add interest and intrigue to your washroom. The gorgeous example above is a fabulous demonstration of a sink that works extremely well with its surroundings, and helps to soften the harsh edges of the vanity and its angular aesthetic. Is there anything more luxurious that wandering straight into a stylish, easy and fuss-free level-access shower? We certainly don't think so, which is why this has become such a popular interior trend. There are a number of ways you can create a completely level access shower. Firstly, you need to look at your flooring. Essentially a low profile shower tray is installed that removes the need for any rim or barrier to keep water from leaking into the rest of the room. In this beautiful example we see a striking shower that evokes a sauna-esque aesthetic with its timber floor and robe hook. Featuring a rain showerhead, this is one wash space you will have trouble leaving! 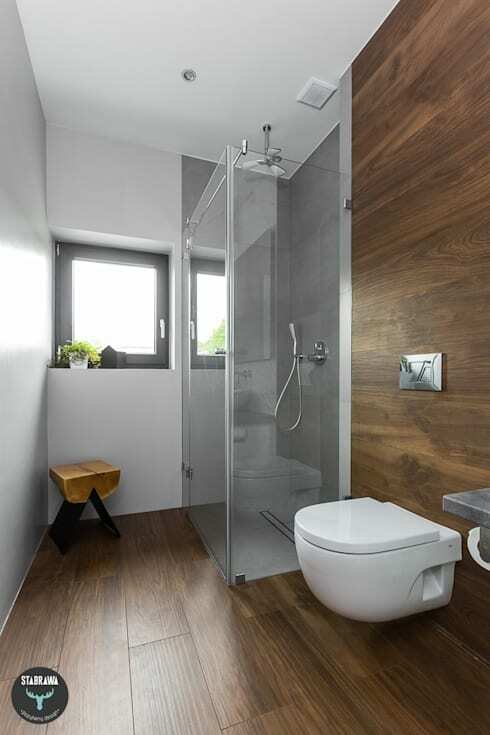 Aside from the obvious style benefits, walk-in showers are particularly versatile for individuals with different mobility needs and requirements. Easy access for wheelchair users is a particular benefit, while there is also a reduced likelihood of tripping for those who have mobility issues. 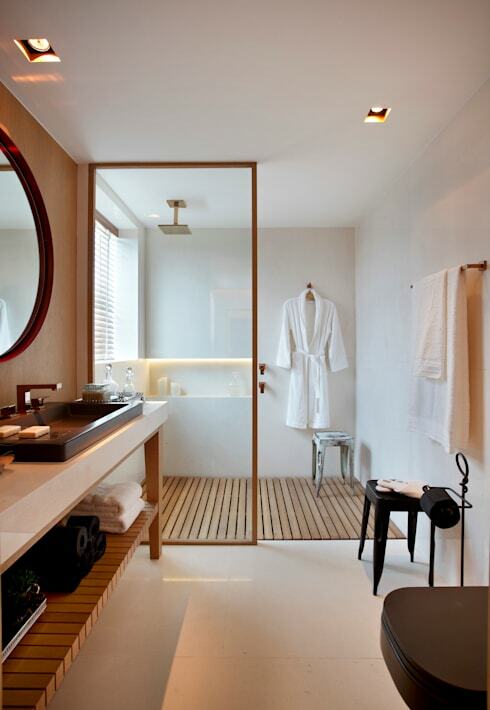 Freestanding bath fittings, taps, and other hardware is a definite trend in bathroom design. Freestanding taps sit very much like the one shown in the example above, and create a sense that the bath is a complete unit, unimpeded by built in fittings. The unbelievable bath in the image shown is a glorious illustration of what can be achieved using this trend. 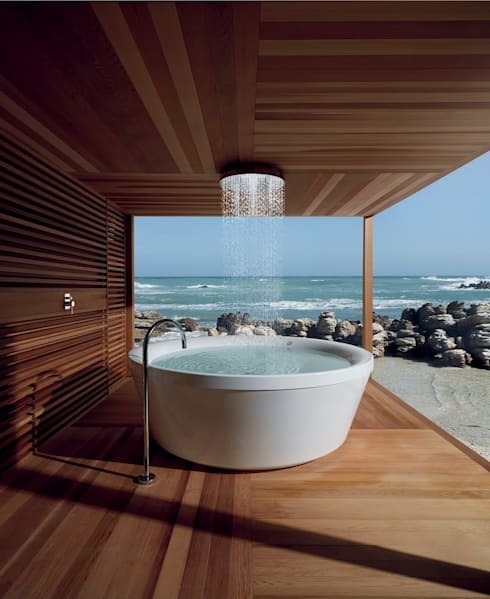 The result is a breathtaking circular tub that features a rain showerhead, doubling the potential for showers as well as baths. Consider a similar design if you have a medium to large bathroom that would benefit from the style and design of a freestanding tap system. Bathrooms are our sanctuaries, and because of this we tend to want them to act as stylish restful zones within our homes. 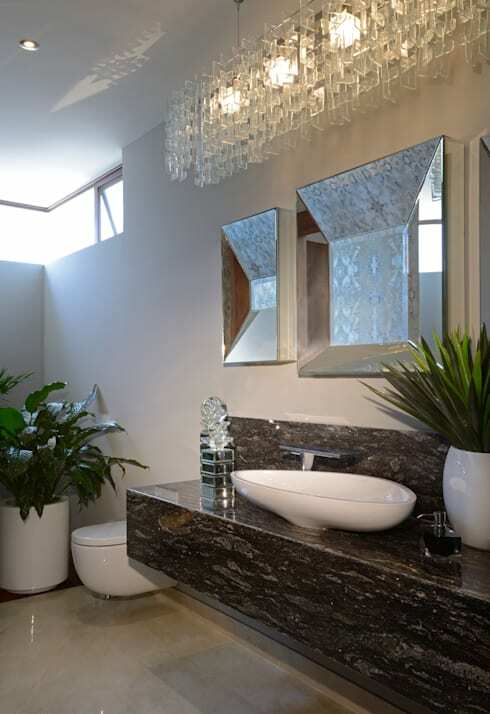 So how can you update your dwelling's bathroom to reflect its tranquil yet stylish aura? Luxurious materials are a trend that presents a definite timeless quality. Think marble, stone, brass, chrome, and all things shiny. By implementing gorgeous finishes and employing impressive materials, you are sure to create a special and thoroughly enjoyable space. However, sourcing, purchasing, and installing these materials can be tricky, chat to a professional to ensure you get the right advice and the design of your dreams. It might not seem like a stylish trend, but elevating the height of a toilet in one's home is becoming more and more the norm. So what is an elevated toilet seat? Once upon a time, those suffering from joint pain, the elderly, and the extremely tall, were burdened with leaning uncomfortably to sit on a seat that practically was far too low. To rectify this there was a solution; individuals would purchase a toilet seat raiser, which was fitted upon the top of the fixture, and increased its height. These days however, people are opting for something slightly more stylish. Toilets are being installed at raised heights, making the process far more comfortable, and in some cases, safer too. Just as kitchen counters are becoming higher to improve convenience, toilets are as well. If you are looking to increase the comfort of your bathroom's most essential asset, consider a raised toilet for your home. Which trend or time-honoured bathroom style is your favourite? Let us know in the comments below!